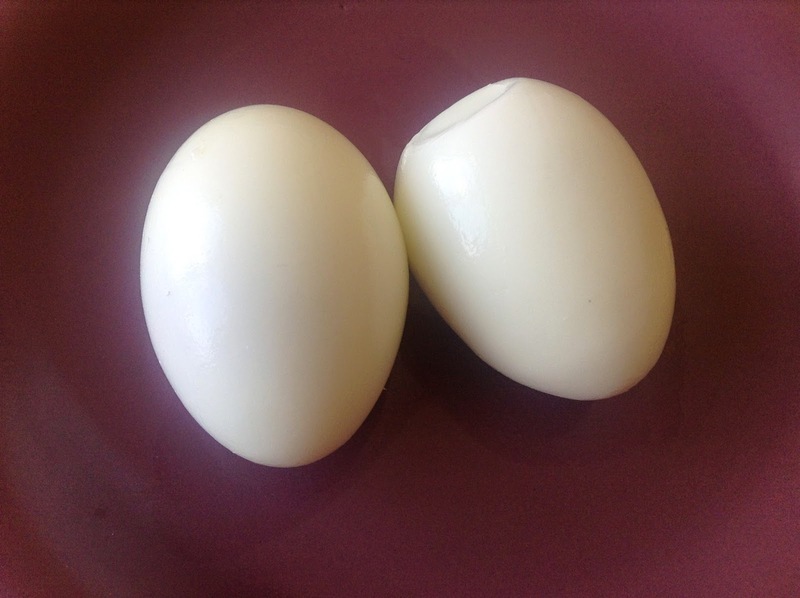 Making perfect hard boiled eggs have always been a challenge for me in the past. 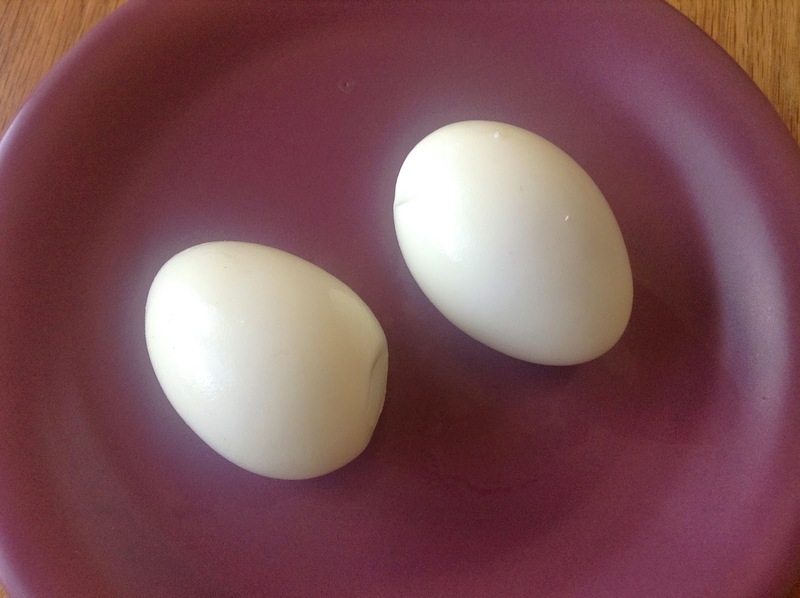 I have always liked to eat hard boiled eggs for breakfast, but they never came out perfect. Sometimes the shell was broken, sometimes they became runny and sometimes simply too hard, and uncooked at a lot of times. So I thought maybe it is really very difficult to do them perfectly. And I was totally convinced, until I discovered this wonderful method of doing the hard boiled eggs perfectly, and realized how wrong I actually was !! Here I shall show a really simple method of making the perfect hard-boiled eggs. The first thing I did after the success of boiled eggs was to prepare Punjabi Egg curry. Add the eggs to the pan in which boiling, single layer. I boil 4 at a time, but if boiling more, you will need more water, hence more time. Fill up the container with water so all the eggs are fully immersed in water. Add a bit of salt, 1/2 tsp. should be okay. This keeps the egg shells from breaking and also becoming runny. Heat this vessel on the highest temperature and bring the water to a rolling boil. This should take 6-7 minutes for about 6 eggs. Turn off the heat and cover with a lid. Leave for 10-12 minutes. This might vary with temperature of the place you live in, the vessel used and the number of eggs done together. I use induction cooking range so it stays hot for quite sometime. If using stove-top, cover and simmer the heat to a minimum for 2 minutes, then turn off the heat and leave for another 12 minutes. The eggs should be done within 12 minutes. To be extra safe, wait another 2 minutes. Or if doing a large batch, try and break open a single egg to check. If it is not done, boil for another 2 minutes. This method can never overcook eggs even if left covered for 20 minutes. The tip was realy helpful. since u said u have inductions stove,can u tell me how do u boil milk.I have induction stove too and every time my vesses will burn the milk gives buringntaste. Hi Anu.. thanks a lot for your feedback and glad to know it helped you..
Wonder skin: right in your kitchen..!! I did not love him when I married him..